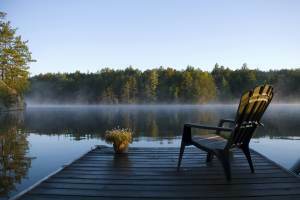 Land o' Lakes Cottages for Sale Designed specifically for your family, cottage and waterfront buyers in Ontario. Smart, fast and efficient...take advantage of the latest technology to find your property. I've worked hard to find great agents that are ready to work for you. I created this site and program if you do not want search through the Internet anymore and just want to find the best property for your family. "Get All Existing and Newly Listed Properties Directly to Your E-mail"
Your personal information is collected only to send you the additional information that you requested. No matter your location if I cannot provide you with the immediate service you requested I will refer you to an excellent waterfront agent or broker. Regardless, I will keep in touch to ensure that you are, and continue to receive, outstanding customer service for your waterfront and cottage search! With 5000 Lakes in the Land o'Lakes region, the major lakes that are in the area.